What are some of the benefits of shopping in bulk? Buying more at once saves on time and gas and other related expenses. Many of our bulk offerings are naturally or organically grown. 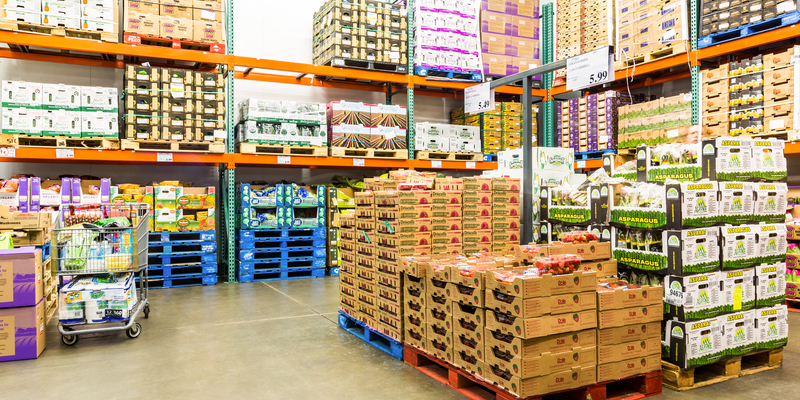 Buying in bulk is typically less expensive per unit. Zero upfront yearly membership fee to worry about before you can start shopping. Special & Gourmet Teas: black tea, chai tea, chamomile tea, English favorites, green tea, herbal tea, iced * bottled teas, pu-erh teas, rooibos & oolong teas, wellness tea, white tea, etc. Nuts: cashews, almonds, walnuts, peanuts, etc. Dried fruits: apples, papayas, banana chips, dates, raisins, etc. Flours: white, wheat, rye, gluten-free, etc. Seeds: pumpkin, sunflower, poppy, sesame, etc. Vinegar: apple cider, white, bragg, etc. Tomatoes: whole, diced, sauces, etc. Beans: kidney, black, chickpeas, etc. Condiments: syrup, garlic, honey, jam & spreads, marinades & sauces, olives, salad dressings, salsa, etc. You can buy as much or as little as you need, so it’s a good idea for you to experiment with new products without fear of commitment kicking in.